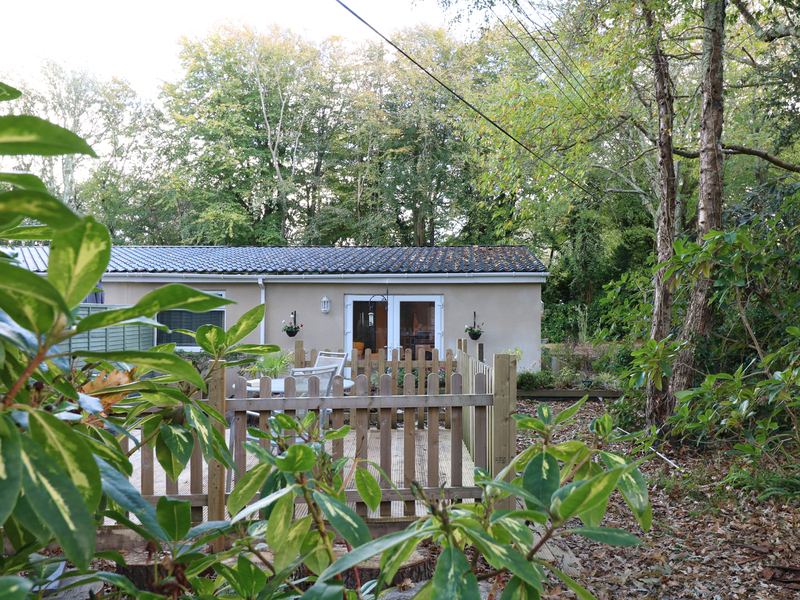 The Hideaway is an annexe situated in the village of Camborne, Cornwall. It hosts one bedroom with one double bed, along with a bathroom featuring a WC, hand basin and shower over bath. Additionally you will find an open-plan space featuring a modern kitchen/diner and cosy living room. Off-road parking is available and included within rent. The annexe is situated within a beautiful secluded garden with its own private patio area with table and chairs. Electric heating. Fridge/freezer, washer/dryer, microwave, electric oven and hob, kettle, TV, games, books. Bed linen and towles inc. in rent. Off road parking. Garden has a private deck with table and chairs. Sorry no pets, no smoking. Two miles to the local pub and a 5 min drive to the nearest supermarket.